Torah Philosophy: Has The New York Times Rediscovered God? Has The New York Times Rediscovered God? 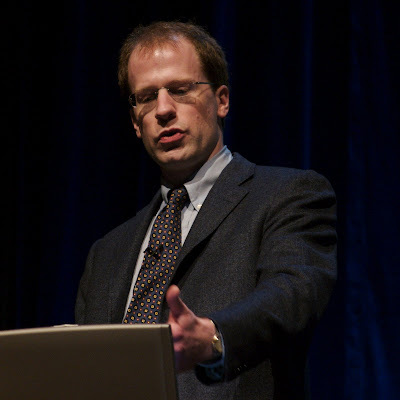 Today’s New York Times included an interesting article in the science section discussing the ideas of Nick Bostrom, a respected young philosopher at Oxford, who has proposed that our universe may in fact be a computer simulation created by an alien civilization. The Times science columnist John Tierney, who seems to be far from a fundamentalist, finds this theory to be highly plausible. In other words, the Times seems to be officially endorsing as scientific the idea of a Supreme Being who created our universe. This is a variant of Intelligent Design theory. We would expect to see eminent scientists rushing to denounce this article and Richard Dawkins should be having a stroke. Somehow, I doubt that there will be any major fireworks. But why not? Where are all the New Atheists? Since Intelligent Design theory is being promoted mainly by conservative Christians, the atheist smells the danger immediately and goes on the attack. Dr. Bostrom however is apparently a very nice secular guy who is merely suggesting that we are part of a computer game created by some cosmic couch potato. No judge, no judgment, no trace of hellfire whatsoever. So that’s kosher. However when we come to a traditional Biblical God, Professor Dawkins seems to be almost unable to find words in the English language which are negative enough to describe Him. A divine Judge is the true enemy of atheism. They absolutely detest the concept. This confirms my belief that atheism is neither a religion nor a philosophy; it is a personality problem. Atheism is just a polite term for pleasure seeking and selfishness. Do they detest the concept because they don't believe it is possible, or do they not believe it is possible because they detest the concept? Would you be willing to acknowledge this distinction? There would appear to be tremendous resistance to the concept of divine judgment. Consider for a moment: Why is Michael Behe an outcast in the academic world while Dr.Bostrom is perfectly respectable? If you want an insight into how Dawkins thinks on the subject of God, you may find this site interesting. On it there is the recording of a full debate between Him and Alister McGrath. Dawkins quite simply worships Science or anything that can be passed off as Science. This is an intelligent observation. May I ask you sir, why did you choose to convert to Judaism when you are not a smite ? where is the evidence Judaism is for everyone, not solely the tribe of Israel? If you look in my profile, I have a link to more information about my background. I hope that will be helpful. a. Whats wrong with you? don't you know the story of Ruth and Noemy? "We would expect to see eminent scientists rushing to denounce this article and Richard Dawkins should be having a stroke." Actually, Dawkins states many times that he can perhaps understand why someone would be a Deist, based on e.g. the cosmological argument, but why the giant leap to believing in, as Dawkins puts it, the Judeo Christian god, due to lack of and against historical evidence. Do ALL animals alive have mtDNA and Y-DNA from their mamas and papas on the ark? I am sure you use Y-chromosomal Aaron to support your claims. Isn't Judaism just like that fable from Aesop when I was there I could jump the highest. Unfortunately there is nothing supernatural now but of course there once was. So if we just interpret the first few chapters of Genesis allegorically, Professor Dawkins would have no problem with religion? I'm not too sure about that. "Do ALL animals alive have mtDNA and Y-DNA from their mamas and papas on the ark?" Do ALL animals alive have mtDNA and Y-DNA from their mamas and papas who evolved? Leaving biblical morality aside for now, do you interpret the phone book? Joebaum; I'm not a jew, if you have a direct answer from the holly book, I appreciate it. Well the story of Naomy and Ruth is in the holy book, it is in well "the book of ruth". You wrote: "Atheism is just a polite term for pleasure seeking and selfishness." I say: I would disagree. I believe Atheism is not an excuse for selfishness because I know a lot of Atheists who are not selfish. Atheism is just a 'polite term' for someone who does not believe in god(s), like muslim is a term for a follower of Mohammad. To define the term atheism as a verb is very odd. "To define the term atheism as a verb is very odd." I didn't. "Seeking" is a gerund and "pleasure" is its object however the phrase as a whole acts as a noun. "Selfishness" is a noun. When someone is "pleasure seeking" i.e. they are seeking for pleasure, I thought that would be considered a part of speech that usually denotes an action. But anyway, you really did not comment or reply to my actual comment. "god" apparently means "anything which can tell me what to do". Why would a selfless person feel a need to deny that such a thing can exist?